Brutal new action and a delicious release date. 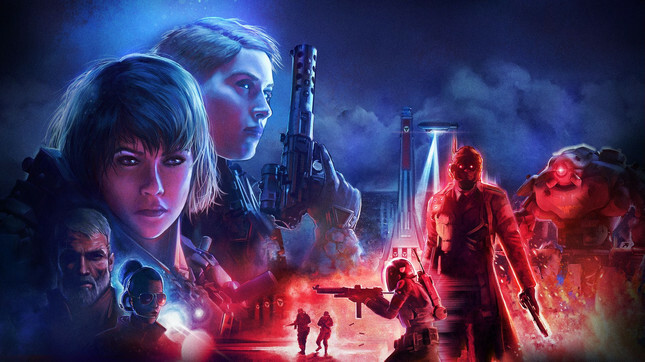 Wolfenstein Youngblood publisher, Bethesda Softworks has announced the spinoff title will be releasing July 26. Alongside news of the release date, developer MachineGames dropped an action-packed new trailer to showcase gameplay and hint at Youngblood's story. Set in 1980s Paris, the game will follow Jessica and Sophia, twin daughters of series hero B.J. Blazkowicz. Ol' B.J. has disappeared on a secret mission, and it seems his daughters are the only two with any idea of where he could be. Of course, there's an entire Third Reich of enemies to get through on their quest to find their dad, so a couple of power-suits and an arsenal of weapons are just what the doctor ordered. Adding another dimension to Wolfenstein's gameplay is the inclusion of co-op. For those purchasing the Deluxe Edition of Youngblood they'll receive a 'buddy pass' that can be shared with someone that does not own a copy of the game. That buddy can experience the entirety of Youngblood by playing alongside the owner. Deluxe Edition owners won't be forced to pick favourites either. The buddy pass can be shared an infinite number of times, although only one person can play with the owner at a time. And for those looking for a completely single player experience, your twin sister will still back you up thanks to the game's AI if you're not looking to partner up with any other players. Wolfenstein Youngblood will release for Xbox One, PlayStation 4, and PC on July 26th.